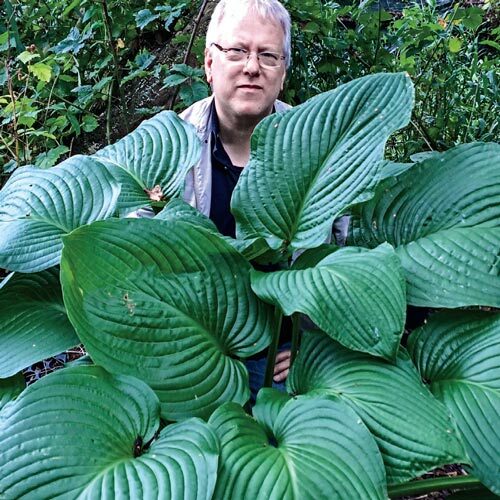 A true giant, this giant cousin of 'Empress Wu' is guaranteed to impress! Dark green leaves are shiny. Foliage 36-40" tall. Flower height: 45". 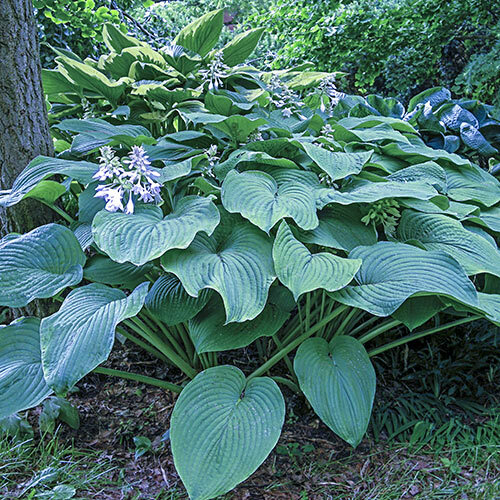 Hosta lilies, sometimes called "Plantain or Heart Lilies," are some of the finest foundation or specimen plants you can find for shady areas. Unequaled for their broad, ribbed, wavy foliage in many colors and their fragrant, bell-shaped flowers in white, blue, lavender and purple. Hostas take about one year to establish themselves, but do not have to be dug or divided. Top of plant even with soil level.